My favorite contradiction is when Jesus cursed that fig tree for the crime of not being in season. 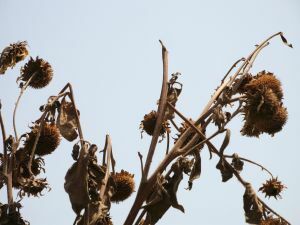 One gospel says it withered immediately. Another had it withering the next day. Sometimes Jesus rides into Jerusalem on one donkey, in other gospels he’s on two. You can start with those. So let’s work through this with yakamoz. What is your answer? How do you approach alleged contradictions? Then we’ll hear Brett’s thoughts on this on Thursday. Ah, the fig tree incident. The Matthew account says Jesus cursed the fig tree and it withered immediately. It doesn’t say that the disciples witnessed the withering of the fig tree. The Mark account says Jesus cursed the fig tree, and that the disciples heard him do it. It also doesn’t say that the disciples witnessed the withering of the fig tree, but that the next day they noticed that the tree had withered and mentioned it to Jesus. Not stated is whether Jesus explained to them that the tree had withered immediately, but apparently He did. Otherwise, Matthew wouldn’t have been able to give us that tidbit. So, my conclusion is that when Jesus cursed the fig tree, He had left the group of disciples and was was some distance away, but still close enough for them to hear Him issue the curse. They didn’t notice that the tree had withered until the next day, when Jesus apparently told them that it had withered immediately. So… No logical contradiction. Those who think there is a contradiction have made unwarranted assumptions. Before answering, ask what follows if they are right that there are contradictions. Maybe inerrancy is lost, but so long as the autographs are without error, we needn’t worry too much. Logically, if there are two donkeys, there is also one, at least. Matthew emphasizes the two because he’s referring to a prophecy. The others just dont pay much attention to it. Easy peasy. Ask the person to look over their left shoulder and then write down the scene that they have observed. You do the same. Then compare what each of you have written. Each of you might have some things in common and other things that the other didn’t mention. Then what you can show them that this is the issue with two different books in the bible and how they recorded the events. They are different people sharing about the same situation as they saw it. It wasn’t scripted so they results are different. The similarities show that it was the same event. So if you and the person making the comments can see the same scene in a different way, why can’t the bible explain the same scene in two different ways? Also, a contradiction is just adding a negative to something. My shirt if blue, and my shirt is not blue is a contradiction. There is 1 and there is not 1 is a contradiction. God loves you and God does not loves you is a contradiction. Saying there is one and there is two is not a contradiction since one is not the negation of the other. So when you see details like these, with the donkeys, its not a logical contradiction. Contrary maybe, but not contradictions. And contrary things can be sorted out, as we’ve just seen. So there is two donkeys and there is one donkey may seem contrary, but it is not, strictly speaking, a contradiction. I don’t see it saying what yakamoz proposes at all. The Matthew account says Jesus cursed it and it withered. In Mark, “they saw the fig tree withered away to its roots”. I would bet that a week or two later, they could have said the same thing. I don’t see any disparity – It happened immediately, they noticed it later. Some believe that the best answer to this “apparent contradiction” is that the colt was unbroken, meaning that it would be best to have it’s mother to travel alongside it to keep it calm once it entered the noisy streets during the triumphal entry. The fig tree must be viewed in the light of the literary composition. The fig tree was instantly cursed, however, the dramatic visible result probably made more of an impact as the disciples were on the return journey to Jerusalem. By the way, this is how Bart Ehrman makes his money. He preys on ignorance. As to the donkey issue, that’s the same as the number of angels outside the tomb, the number of blind men outside Jericho, the demoniac(s) in Gadarene, and probably a good number of other alleged discrepancies. Examples such as these only set minimum numbers. Here’s a more recent example. If we look at footage of news reports on Sept 11, 2001, we will hear reporters talk about a plane hitting the World Trade Center. We would also hear accounts of one of the buildings falling. Does that mean we discount these news bureaus as unreliable since we know that there were two planes and two fallen towers? Of course not. In all these cases, including the bible, it’s possible that our reporter was not yet aware of the other instances, or for some reason chose to refer specifically to some and not all. Any time someone brings up an alleged contradiction I try to discover why it seems there is one. Is it caused by the authors personal accounting of something? Everyone sees and notices different things in any given circumstance, they are accounting to what they personally experienced. Most alleged contradictions can be solved by this means. If not, the other areas to look at are an understanding of historical and biblical context, kind of language used, as well as word meaning and usage. By using these interpretive means we can understand more fully the word of God. The last area to look at is the person’s own spiritual standing. It is impossible to interpret scripture accurately without the Holy Spirit. If the person questioning the scripture is not a believer, it makes sense that they cannot interpret the word of God correctly. Just from the “smell test” I think we can determine fairly easily that these two examples are only apparent contradictions. As others have already pointed out, any objection dealing with locations, quantities, times, etc… usually are simple, quick-fix problems even though, at first, they may seem very confusing. For example, there are passages where a certain province or city is mentioned in one gospel account, whereas in another gospel account an entire region or country is mentioned instead. It may seem perplexing at first until you realize that one is contained within the other. In the case of the fig trees, the chronological event would be as follows: On Monday Jesus cursed the tree, it began to wither immediately, and then Jesus entered the temple compound with his disciples. Later that evening he left for Bethany to spend the night. The next day on their way back into the city, the disicples noticed that the tree had withered and were amazed. It is important to recognize in the scriptures the way certain subjects are arranged. Some are chronologically arranged, while others are topically arranged. For example, in Genesis 1 the sequence of events seems to be given chronologically, while the Genesis 2 account presents the events topically with a main focus on man. No conflict exists between the two– simply different reasons/purposes for writing the way they did. I would argue this to be the same case in the gospels. I also find it interesting that in Matthew 21, even though it does not mention anything about “the next day” or any sort of time frame, it is thought to be referring to the same day– almost directly after the cursing– that the disciples seem astonished upon realizing that the tree has become withered. But simply because a time frame is not mentioned does not mean we should assume it is the same day! Matthew, it seems, is writing topically here and is primarily concerned with getting his point across to the readers. We cannot afford to read into something for specifics when they are not available to us. We will ultimately assume details and truth will become skewed in the process. Also, some may wonder why the disciples in Mark’s account do not notice the tree on their walk back to Bethany for the night. The answer is simply that on their way to Bethany, they took a more winding route around the Mount of Olives which made for an easier hike. On their way back to Jerusalem, a steeper and more direct route was quicker! The case with the donkeys I feel has been sufficiently addressed, so I will not go into any further length on that. It’s a pretty simple objection to deal with! It is important to recognize though that far from harming the credibility of the gospel accounts, these apparent contradictions greatly strengthen their reliability! It shows that the gospels are not simply collaborations off of one another, but instead are genuine, well thought-out individual records of each disciple’s perspective. In order for someone to say that there is an authentic contradiction, the contradiction must be the only possible interpretation of the two passages in question. Since both examples can be interpreted as contradictory or not contradictory, whichever one you are set on believing is the interpretation you will prefer. However, even though someone may prefer the contradictory interpretations, since there is an interpretation that is not contradictory, they cannot claim to have proven a contradiction in the Bible. The Bible can still teach the wrong worldview and contain no internal contradictions. If someone wishes to reject the message of the Bible, they need to look to a more solid strategy for discrediting it.